Google's Festivus Pole All Year Round? Every year, Google dresses up for the holidays. They have the hanukkah decorations, they will have the Christmas and Kwanzaa decorations but they already have the festivus pole. 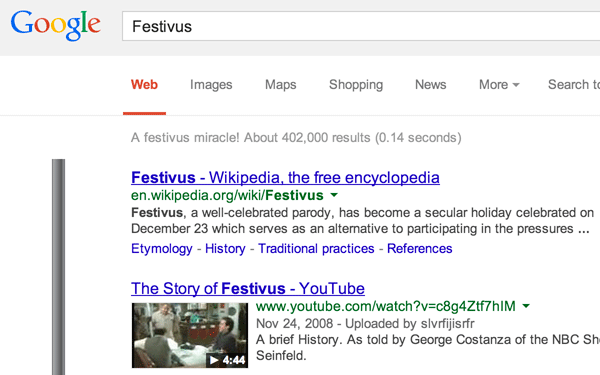 The thing is, did Google ever take down the Festivus Pole? @websonic said it has been there all year and it does indeed match the 2012 Google festivus pole. Am I "airing of grievances" about this festivus pole? How circular.